By Katriona Quinn | October 18, 2011. 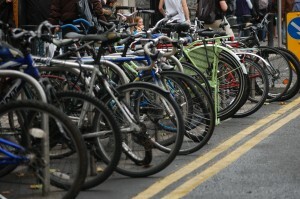 The south inner city is among the top five areas of Dublin for bicycle theft every year, CSO statistics show. Bicycle sales have soared since the launch of the ‘Cycle to Work’ scheme over two years ago. But with the rise in sales the official report showed that bicycle theft has risen dramatically as well. 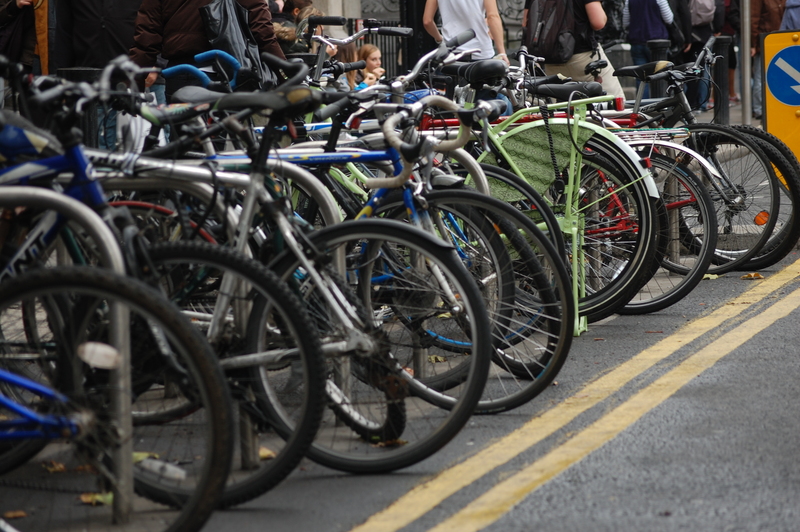 A breakdown of statistics from Garda stations across the city shows that over the past four years there has been a dramatic increase in bicycle theft across Dublin. Last year, Kevin Street Garda Station recorded 132 reports of bicycle theft – the fifth highest rate of theft in the capital. In comparison, Malahide Garda Station recorded only 19 reports of theft in the same period. But if your bike is swiped, all is not lost. Tony Connaughton, from the Garda Press Office, said: “All Garda stations keep bicycles that have been recovered for a short period before forwarding them to central stores. From there they are to be auctioned off if not claimed by their owners”. The Garda website, www.garda.ie, currently has pictures of recovered bicycles from stations across the city in a bid to return them to their rightful owners. These bicycles are in Garda possession until such time as they are returned to their owner or they are auctioned off if left unclaimed. Ken MacDonald, owner of MacDonalds Cycles on Wexford Street, shared some tips on bike security. “The best lock brands are ‘ABUS’ and ‘Kryptonite’. And a good rule of thumb is to buy a lock that costs at least 10% of the price of your bike. So if you have a €500 bike, get a lock that costs at least €50,” he said. The Garda website also has a ‘Theft of Pedal Cycles’ information pamphlet available to show cyclists how to lock their bikes more securely to prevent theft.